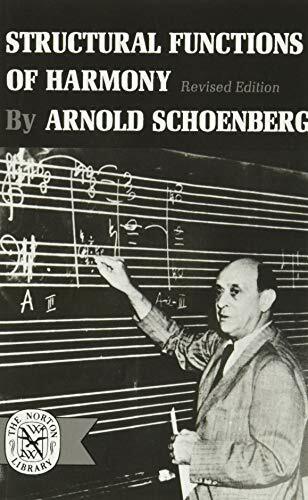 This book is Schoenberg’s last completed theoretical work and represents his final thoughts on the subject of classical and romantic harmony. The earlier chapters recapitulate in condensed form the principles laid down in his Theory of Harmony; the later chapters break entirely new ground, for they analyze the system of key relationships within the structure of whole movements and affirm the principle of “monotonality,” showing how all modulations within a movement are merely deviations from, and not negations of, its main tonality. Schoenberg’s argument is supported by music examples, which range from entire development sections of classical symphonies to analyses of the experimental harmonic progressions of Strauss, Debussy, Reger, and Schoenberg’s own early music. The final chapter, “Apollonian Evaluation of a Dionysian Epoch,” discusses the music of our time, with particular reference to the possibility of new methods of harmonic analysis.